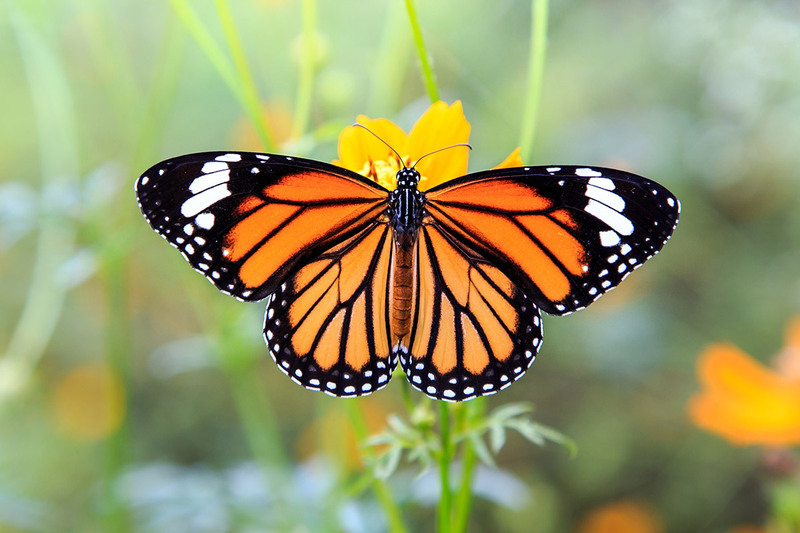 One of the most symbolic insects, butterfly symbolism represents personal transformation. 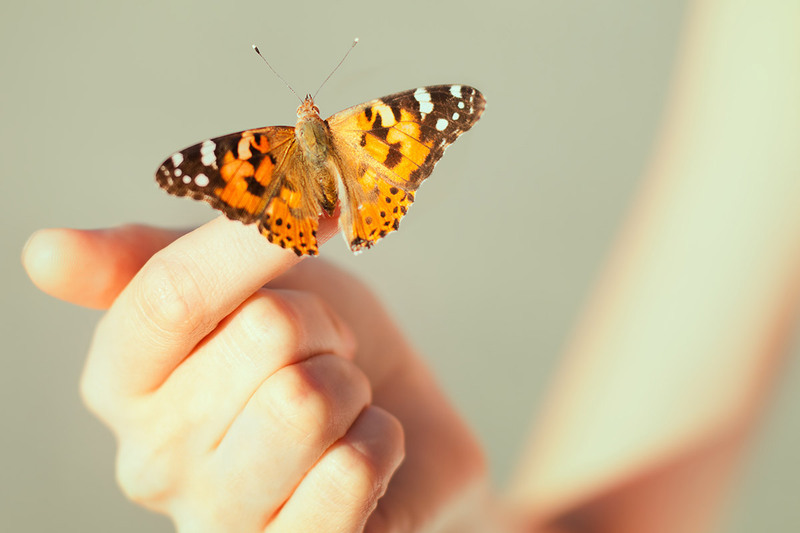 If you happen to see the butterfly as your spirit animal, pay some attention to the areas in your life that might require a deep change or makeover. As the case may be, butterflies encourage you to be thoughtful toward your personal growth and expansion, as well as the splendor of life’s endless unfolding. A significant message communicated by the butterfly concerns our ability to tackle necessary changes with elegance and lightness. The question is obvious! Butterflies are considered one of the most emblematic animals; there are several fascinating meanings associated with them. Primarily, they are associated with allegories of transformation and change. Butterflies are a lucky charm during cycles of change within your life and personality. It keeps you moving during these periods of renewal and rebirth. It helps bring a missing playfulness and lightness of being. • Symbol of Powerful Transformation: As stated earlier, a butterfly is the symbol of great change. By imitating the growth of this insect, the significance of the butterfly puts emphasis on our capability to travel from one state, perception, and way of life to another. When the butterfly enters into your life, there is the possibility that you might be going through or expecting changes in your life. The change butterfly symbolism brings to your life is more internal than those in your environment. They could be associated with your perspective on a subject, features of your temperament, or particular habits. Personal change is symbolic of the butterfly allegory. • Symbol of Lightness of Being: When a butterfly appears in your life as a totem, it’s possible that you need to pay attention to a situation with more subtlety and change perspectives. 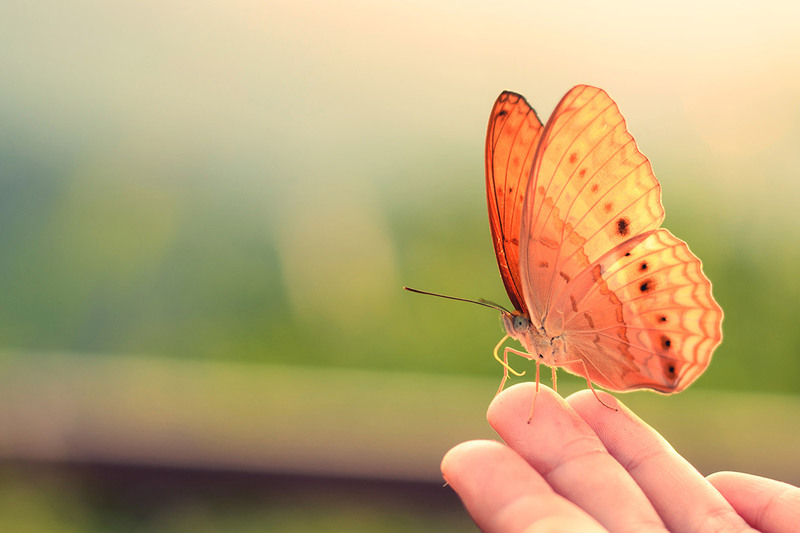 The butterfly represents a lightness of being, helping you remove massive tensions. This important animal is for those who strive with bringing joy and ecstasy to their lives. Everyone love butterflies for their bright colors and distinct patterns. Within that context, they portray brightness and liveliness. Such a beautiful animal conveys a meaningful message of lightening up your life and adding more color to it. Perhaps it’s providing you an opportunity to express yourself completely by showing your true self. • Symbol of the Soul: In various cultures around the world, butterfly symbolism represents the world of the soul or the soul itself! For instance, in Chinese mysticism, it epitomizes eternal life. While for the Japanese, a white butterfly indicates the soul of the departed. In Ancient Greece, butterflies were the emblem of the soul and psyche and represents its power of immortality. For instance, in Chinese mysticism, it epitomizes eternal life. While for the Japanese, a white butterfly indicates the soul of the departed. In Ancient Greece, butterflies were the emblem of the soul and psyche and represents its power of immortality. • Symbol of Call for Support: The butterfly is a totem that’s perfect to call in for support when you’re dealing with transitions; either at work, in a relationship or even with your inner self. It’s an excellent link during acute stages of personal change as it’s thought to ease and lighten the process.This potent insect symbol is the ideal spur for adding more color to your life and empowering self-expression. If a butterfly is your spirit animal, you already have the natural energy to express yourself openly and reflect your true colors into the world around you. This potent insect symbol is the ideal spur for adding more color to your life and empowering self-expression. If a butterfly is your spirit animal, you already have the natural energy to express yourself openly and reflect your true colors into the world around you. Various cultures, whether modern or ancient, have appreciated the allegory offered by the natural world. A symbol can be a natural entity, such as insect or animal, that conveys a special meaning. For instance, the Chinese zodiac is established on the premise of animal signs. However, Native Americans associate the physical features of animals with qualities of strength, cleverness, patience and more. Butterflies exist throughout the world. In fact, among the 28,000 species of butterflies, 80 percent are found in tropical regions. While butterflies signify different things to different cultures, universally they exemplify transformation and change. Why? Because the butterfly starts its life in one form and ends in another. • China: In Mandarin China, there is a legend of a young man. He found himself in the garden of a wealthy Mandarin. His presence was forbidden there, as it was considered as an act of trespassing. But why was the young man entering this restricted area? Well, he was pursuing a beautiful butterfly. The end of the story narrates a tale of love. Cupid struck the Mandarin’s daughter, and she fell in love with the young man. And in the end, they were married. The butterfly is called ‘hu-tieh’ in Mandarin Chinese, which means ’70 years.’ It symbolizes long life. In China, if two butterflies are seen flying together they are considered to be the perfect emblem of love. • Japan: In Japan, this insect is the sign of a confident young woman and marital bliss. It’s believed that a butterfly is the representation of a person’s soul; whether they are alive, on the verge of dying, or already dead. Tradition suggests that seeing a butterfly in a guest room behind a bamboo tree states that the person you love the most is coming to see you. • Native American: Some tribes have faith that a wish muttered to a butterfly will be approved on the arrival of this creature into the heavens. A story about butterflies among Native Americans concerning ‘children who refused to walk.’ As the story goes, to help babies transition from crawling to walking, a few pebbles were tossed into the sky. As they dispersed, they transformed into beautiful and colorful butterflies. The children were overjoyed with the view and began to pursue them. Some Native Americans rejoice rebirth and hopefulness with the Fancy Shawl Dance, which is inspired by butterfly displays. Originally thought to be inspired by the Ponca tribe, they utilize particular colors that portray special meaning. A brown butterfly represents important news. Yellow represents hope and guidance, while black and white are the symbols of bad news or illness and good luck respectively. Red signifies an important event. • Blackfeet: The Blackfeet tribe of North America honors butterflies as a provider of dreams and restful sleep, believing that a butterfly brings dreams while we slumber. Blackfeet women embroider this beautiful totem on either fabric or buckskin. This piece is tied to clothes or a baby’s hair to help the child rest. • Hopi: In Hopi culture, a butterfly is considered one of the wildlife spirits known as ‘Kachina.’ There is a two-day ceremony of butterfly dances in which a butterfly appears. This ritual comes as a custom for young women, who will shortly learn the tribe’s traditional songs and women’s role in Hopi culture. • Navaho: For the Navaho, a butterfly is the symbol of joy and resurgence. This insect is tied to the tale of a god, who first established themselves as a cocoon. He emerges out from his room with colors of rainbow looking like a butterfly. • Aztec: In Aztec culture, Itzapapalotl is a divine being highlighted on the Aztec calendar and is represented by the Obsidian butterfly. • Celtic: For Celtic regions, butterflies represent happiness, wealth, honor, and good fortune. It’s considered an emblem of the soul and is so prevalent in Ireland that it’s unlawful to harm a white butterfly, as it’s believed to carry a dead child’s spirit. The butterfly also represents the fire of the gods. • Roman: Romans believe that the soul leaves the body from the mouth and to convey their faith they have a sculpture depicting a butterfly existing from the mouth of the dead man. In ancient Rome, butterflies were visible on some coins, to the left side of Juno’s head, representing marriage and weddings. • Greek: The ancient Greeks called butterfly ‘psyche,’ named by the philosopher Aristotle, which means mind or soul. • Christian: Butterfly symbolism in Christianity observes the butterfly as an emblem of resurrection. During Easter, butterflies are an important symbol. A butterfly as an insect that dies as a caterpillar, is concealed in a cocoon for a period of time, and then appears in a whole new life. In addition, butterflies are creatures with the capacity to rise above the ordinary and take a journey into the heavens. Butterfly symbolism resonates with us, one way or the other. Whether in transformation, joy, beauty or life, nothing can replace these beautiful creatures. Shop LC offers a broad selection of jewelry, fashion and lifestyle products. If the butterfly is your symbol, our collection has something just for you! Keep a butterfly close to your heart with a pendant or enjoy their delightful dance with drop earrings. Keep it simple with a ring or bring them home with beautifully printed butterfly throws. The choices are endless! Browse our complete butterfly collection and start your own journey!